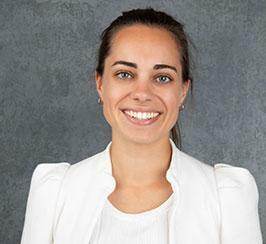 We are delighted to announce the appointment of Léa Daulan as Digital Marketing Manager. As Digital Marketing Manager, Léa will develop, implement and monitor ASL’s digital marketing strategy, primarily through social media, site optimisation, and content creation. As part of her role, Léa will also manage ASL’s core product certification database, to ensure it supports ASL’s certification programs and wider business objectives. “Léa has proven to be an invaluable member of the Allergy Standards team and is extremely deserving of the promotion to Digital Marketing Manager. Her new role will be instrumental as our clients and retailers, along the supply chain, navigate the complex regulatory environment required to stay ahead of the stringent allergy and asthma related requirements for consumer products and services. With Léa’s contribution, the client services portal will be a key tool in adding value and assisting our clients to win in the market place around the healthy home movement.”said Dr John McKeon, ASL Chief Executive Officer (CEO). Léa has been working a part of the digital marketing team for over a year at ASL headquarters in Dublin, Ireland working with ASL’s teams around the world in Dublin, New York, Washington DC, and Toronto. In her new role Léa will report directly to ASL Chief Information Officer, Dave Morrissey.